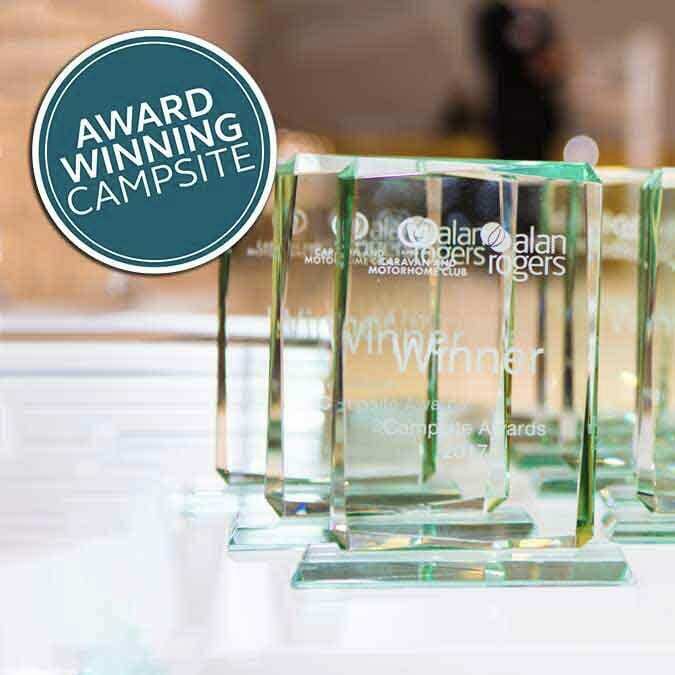 The Caravan and Motorhome Club and Alan Rogers announced the winners of their annual Campsite Awards on Thursday 10 January, recognising the very best from their extensive overseas site network consisting of over 330 Club approved sites in Europe. Every year the Campsite Awards are held at the travel and tourism fair Vakantiebeurs in Utrecht. 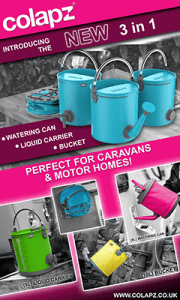 Sites are recognised for their progress, friendliness and innovation, amongst other qualities that ensure Caravan and Motorhome Club members can pick the best sites to suit their needs. Winners are chosen by taking into account comments from site assessors and the head office team, as well as members and readers. This year’s winner is Nature Parc L’Ardèchois, France. This beautifully maintained, family-run site won top marks for its fantastic location on the L’Ardèche River. This well-kept site is ideal for active families and has comprehensive facilities. Children and disabled guests are well catered for and the pitches are of a good size and separated by trees and shrubs. The bar and restaurant are the focal point of the site, with a lovely pool complex, play area and organised activities for families in the summer. Patrols are made at night to ensure peace and quiet is maintained. This year’s winner is Camping Séquoia Parc in the heart of the Charente-Maritime region, France. Séquoia Parc is set in the grounds of La Josephtrie, a castle with beautifully restored outbuildings and courtyard area with a bar and restaurant. The site offers spacious pitches separated by shrubs as well as mobile homes, chalets and fully equipped tents for up to seven people. Top marks were awarded to the site’s high spec design with large, light and airy reception, pool complex with four pools (three heated), slides, fountains, river and spacious sunbathing area is impressive. A lovely terraced area adjacent to the snack bar allows guests to enjoy their food in a very pleasant garden setting with sunshades. The winner of this year’s Progress Award is Sportcamp Woferlgut, Austria. This award reflects the hard work and commitment undertaken by particular campsite owners to improve and upgrade their site. Candidates for this award included existing sites which have undergone a far reaching improvement programme, or campsites which have passed into new ownership and benefited from substantial investment in terms of time and money. Sportcamp Woferlgut offers outstanding facilities including its brand new indoor swimming pool complex with Olympic sized pool, Jacuzzi, baby pool, heated outdoor pool and water slide, solarium beds, sauna, spa and massages; while three playgrounds and an adventure rope walkway provide entertainment for children. The winner of this year’s Welcome Award is Les Genets, France. The award is for the site viewed to create the friendliest ambience and Les Genets is renowned for its accommodating friendly staff, who speak fluent English and offer a very friendly welcome throughout the season. Perched on the shores of Lake Pareloup, this site’s scenic setting is one of its main draws together with its excellent customer service. The winner of this year’s Innovation Award is Kiko Park, Spain. The award acknowledges the site which has introduced features which are creative and innovative and Kiko Park with its very own ‘chiringuito’ (beach bar) and its special events throughout the year was voted the winner. The beach bar offers a very relaxed, chilled vibe with music, cocktails and sea views and during the summer special events are organised including white parties, paella lunches and live music. The winner of this year’s Seaside Award is Camping Las Dunas, Spain. This award acknowledges campsites which are close to the sea and which provide a perfect environment for a fun-filled seaside holiday. Las Dunas is an extremely large, impressive and well organised resort-style site with many on-site activities and an ongoing programme of improvements. It has direct access to a superb sandy beach that stretches along the site for nearly a kilometre with a windsurfing school and beach bar. There is also a much used, huge swimming pool, plus a large double pool for children which opened in 2015. The winner of this year’s Country Award is Camping de Papillon Netherlands. In contrast to the Seaside Award, this award takes into account those campsites which enjoy outstanding rural locations and offer members and customers a great opportunity to explore some wonderful countryside. Set in a rural location on the border of Germany, this site is an ideal base from which to explore the local area. The site has beautiful grounds and there are excellent amenities such as a bar, restaurant, shop and an indoor swimming pool. Water sports can also be enjoyed at the large fishing lake with its sandy beach. The winner of this year’s Small Campsite Award is La Campiña Spain. The Caravan and Motorhome Club and Alan Rogers work with many campsites that offer a small number of pitches and this aware is restricted to those with less than 150. La Campiña was recognised for its superb service and facilities with its enthusiastic owners ensuring the facilities are well-kept and that guests have a relaxing stay. La Campiña has just 35 pitches set amongst the olive trees, high on a hill just 40 minutes from the historic town of Córdoba. Guests can sit by the delightful pool set gardens. The restaurant has a rustic feel and serves traditional, homemade food. In low season, a complimentary welcome breakfast is served on the terrace. The winner of this year’s All Year Award is Camping de Paris in France. This award is for campsites which are open for at least 11 months of the year, offering high class amenities available for extended periods. Camping de Paris, situated on the banks of the River Seine, is ideal for exploring Paris and its surrounding attractions. It offers a countryside feel despite being close to the heart of the city, and pitches are grassy and shaded by trees. Many customers and members have enjoyed delightful long stay holidays here. The winner of this year’s Family Award is Les Ormes, Domaine and Resort. This award has been presented to the campsite which can guarantee a truly memorable holiday for families with its excellent facilities for children. New for 2019 is ‘the dome’ which covers the existing aquatic park and wave swimming pool, alongside an outdoor pool area, allowing family fun no matter the weather. The site also has a range of restaurants, some of which are open all season, as well as a mini supermarket and souvenir shop. The winner of this year’s Video Award is La Roche-Posay, western France. The Caravan and Motorhome Club is striving to enhance the video content on its website and has presented this award to La Roche-Posay as it has produced enticing and effective videos to promote itself and encourage visitors to the site. There was plenty to film at this beautiful site on the banks of the River Creuse. The site is peaceful in low season, getting livelier in the summer with entertainment arranged for all ages, a lovely swimming pool complex and brand new, well equipped gym.